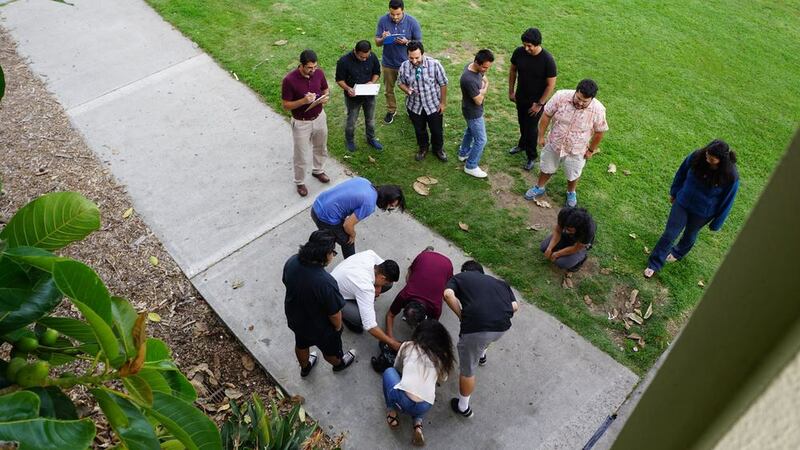 The 2017 Four Ingenieros Foundation Engineering Competition hostted 80 STEM community college underrepresented students from Santa Barbara City College and Allan Hancock College who learned, built, and programmed a robot that traversed three obstacle courses. The event took place at the SBCC’s Campus Center Cafeteria and consistted of a full day of coding lessons, networking, team collaboration, a keynote speaker, and an award ceremony. We had our Four Ingenieros Scholarship Fundraiser on December 11, 2015 with an amazing turnout and tremendous success. With over 80lbs of pork and several dozen cans of hominy over 150 people came out and ate delicious pozole. 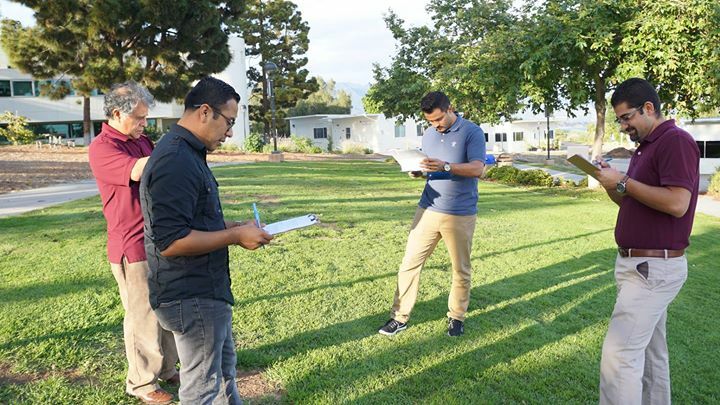 We had many close friends, community members, family, and students contribute to our first scholarship fund that will target science, technology, engineering, and mathematics students attending Santa Barbara City College. 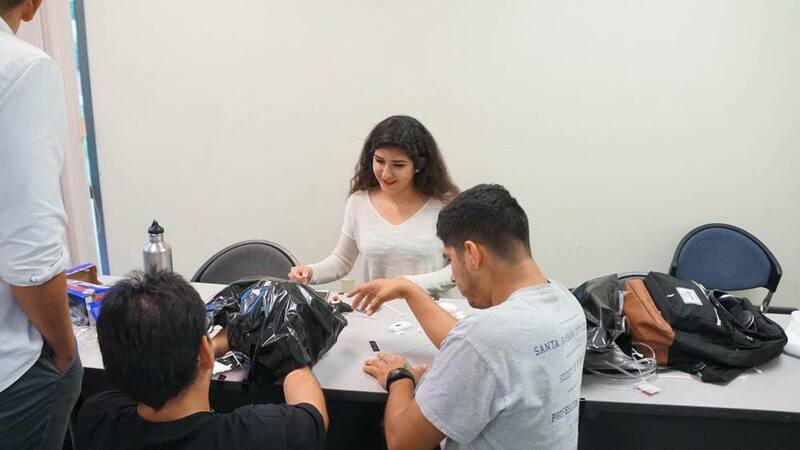 On Friday, May 22, 2016 the Four Ingenieros Foundation sponsored their first Engineering Competition at SBCC with the MESA, SHPE and SACNAS students. 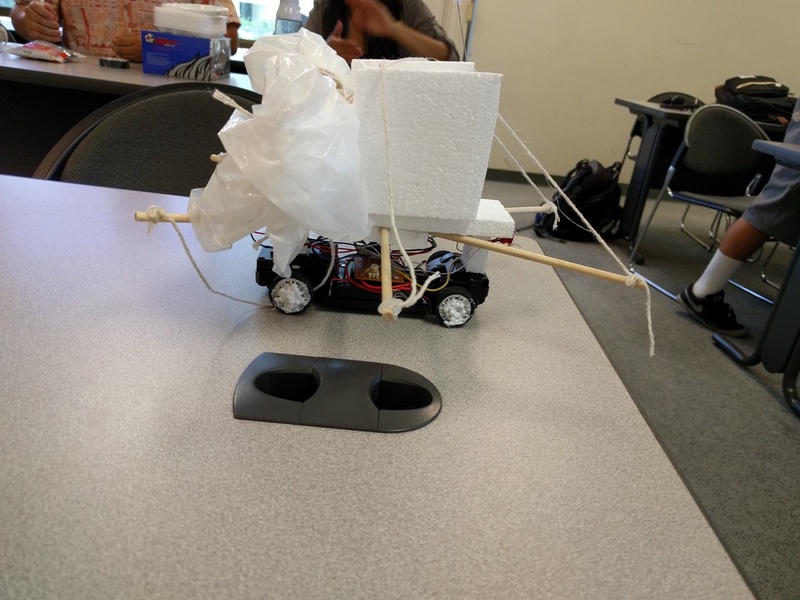 A total of three teams participated to build a speeding vehicle that protected an egg when falling from a height of 25 feet. We evaluated many different designs with balloons, parachutes, and styrofoam enclosures. Only one team succeeded in landing and traveling to the first checkpoint with a secure payload. Congratulations to Luis Moreno, Adrian Marquez, and Daryl Delgado. The winners will have the privilege to permanently have their names engraved on the Four Ingenieros Engineering Competition plaque. This starts a new tradition of education, participation and student excellence. 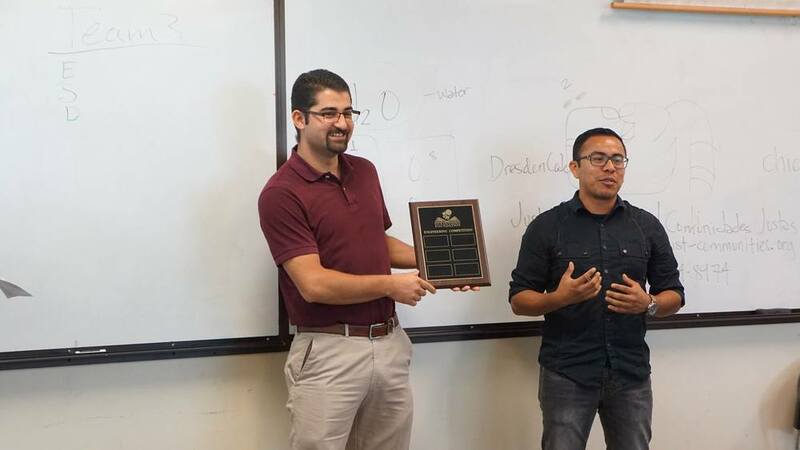 Juan Zepeda, one of the Four Ingenieros Founder, handing over the check to Miguel Lopez, SHPE Ingenium President, for the sponsorship of the Four Ingenieros Engineering Competition. Four Ingenieros Foundation would like to announce the sponsorship of the Four Ingenieros Foundation Engineering Competition. 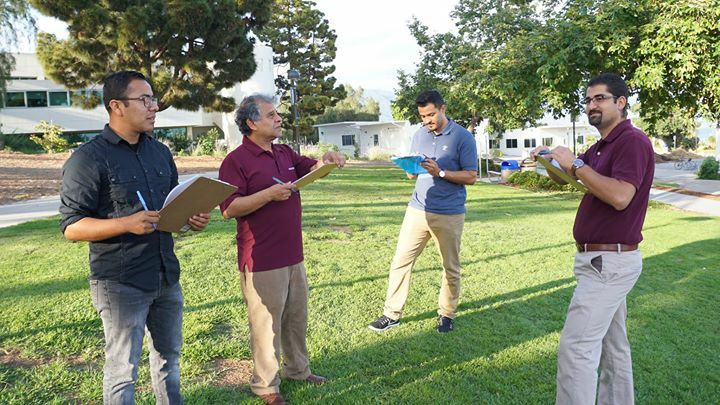 This engineering competition started when the Four Ingenieros founders were at Santa Barbara City College back in 2009. 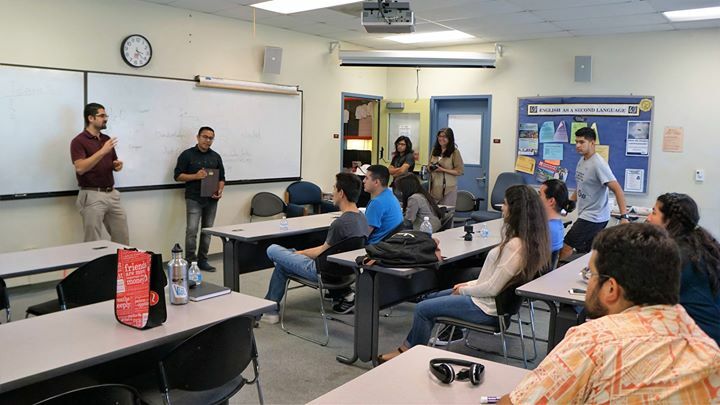 Since then the students at SHPE, SACNAS and MESA have continued this yearly tradition. To give back, Four Ingenieros Foundation will sponsor this years engineering competition as well as the many competitions to come in the following years. We are excited to continue and build on a tradition of excellence and friendly competitions. Spring 2016 Book Grant Winners! Meet our first book grant recipients for the Spring 2016 semester. These dedicated STEM students were awarded on Friday February 19th at Rusty's Pizza Parlor where we were joined by family, friends and supporters. Congratulation to the students! Four Ingenieros Foundation friends,supporters and students, you are invited to join us on Friday February 19th from 7pm-9pm at Rustys Pizza Parlor. We will be announcing our foundations very first book grant recipients for the Spring 2016 semester. We are excited to award these book grants to hard working and very dedicated students at SBCC invested in a STEM career. This is our first milestone and we are excited to share this with you all. Food will be provided and will be on a first come first serve basis so make sure you arrive early because we really like pizza! Four Ingenieros Foundation gustaría extenderles la invitación a que nos acompañen este Viernes 19 de Febrero entre 7:00 y 9:00 p.m. a la pizzeria Rusty's en Calle Real. Se darán a conocer los ganadores de las primeras becas otorgadas por FIF para libros de texto en este semestre de Primavera 2016. Tenemos una gran emoción de poder proveer esta ayuda a aquellos estudiantes de SBCC que se dedican, trabajan arduamente e invierten su tiempo en desarrollar su carrera en las Ciencias, Tecnología, Matemáticas e Ingeniería. Este es nuestro primer gran logro y tenemos la dicha de compartirlo con todos ustedes. Habrá bocadillos para compartir y se recomienda que se llegue a tiempo, puesto que en FIF nos encanta la PIZZA!!! Shortly after graduation the Four Ingenieros broke ground and began organizing, envisioning, and planning what would be our next endeavor. A common theme was shared within our conversation and Four Ingenieros Foundation was born. Most of you know us from playing soccer in the central coast to our days at SBCC and SBCC SHPE Ingenium. Now as professionals in our respective fields of Mechanical Engineering, Electrical Engineering and Computer Science we strive to make an impact in our communities. We invite you to our first event and help fundraiser for scholarships that will benefit students of SBCC majoring in the STEM fields. All are welcome to join us as we share our stories, our goals and of course enjoy a hot plate of pozole, atole and a Christmas basket raffle. 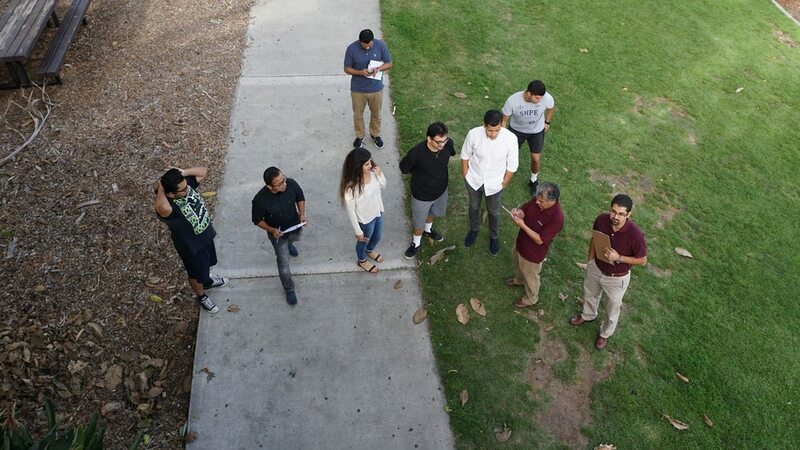 Four Ingenieros Foundation started with a group of four STEM classmates who took leadership positions in our SHPE Ingenium student chapter at Santa Barbara City College. 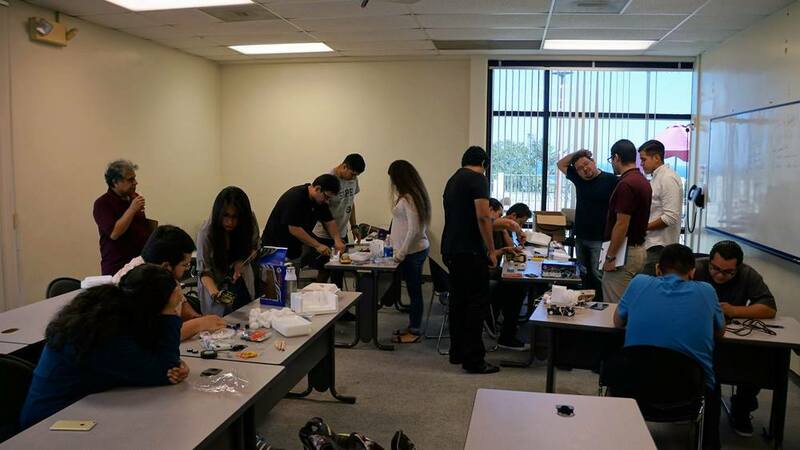 During our time with SHPE they were able to work well together with similar visions for their SHPE Ingenium chapter. After transferring to a four year university they took those skills attained from attending conferences and workshops onto the next level of their education. Their friendship and collaborative efforts lived on after their time at SBCC and they had different backgrounds and experiences trying to navigate through the educational pipeline. 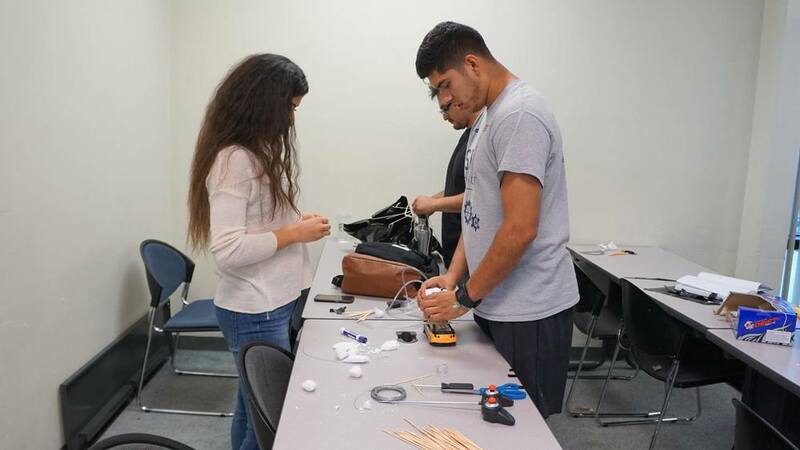 The four ingenieros saw the need for more involvement and the need to expose STEM students at a much earlier time in their educational careers. We feel that being exposed to and participating in different opportunities allows students to gain the skills and confidence to finish a career in STEM. We are very excited to start our professional journey and STEM advocacy through our foundation and we hope to serve as a support group for our future engineers and scientists.